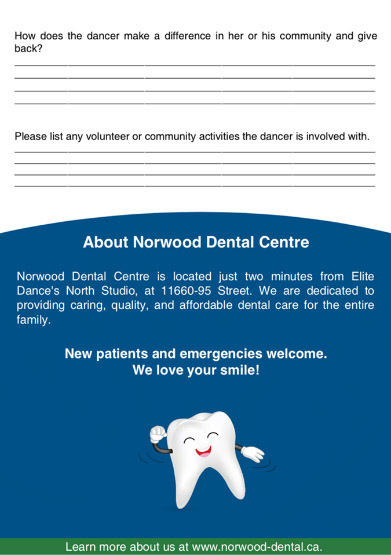 Norwood Dental Centre is Sponsoring the “Heart Award”! 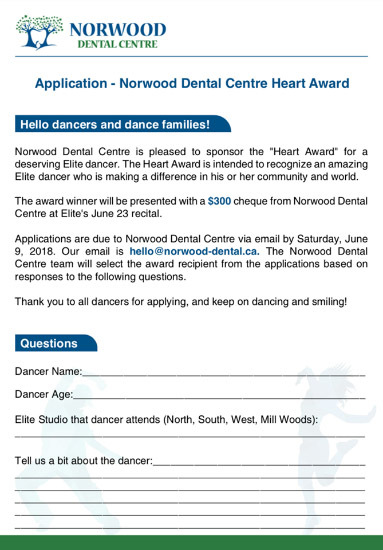 Norwood Dental Centre is pleased to sponsor the “Heart Award” at Elite Dance Studio! The Heart Award is designed to recognize the contributions and community involvement of an amazing Elite dancer. Our dental clinic believes in community, giving back, and making our neighborhood and world the best place it can be. We are excited to celebrate and recognize others who do the same! Applications for the Heart Award are due June 9, 2018 to hello@norwood-dental.ca. 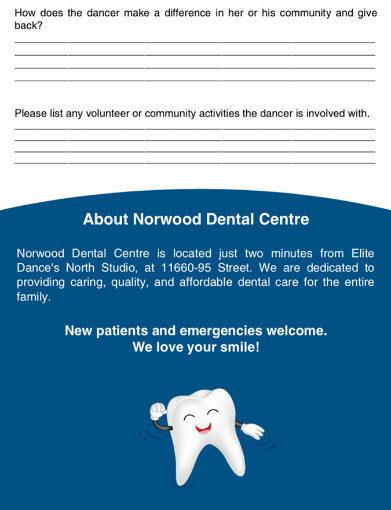 The Norwood Dental Centre team will select the lucky recipient, and then he or she will be presented with a $300 cheque at Elite’s June 23 recital. Our office manager, Amanda, is especially excited to recognize a wonderful Elite student since she loves dancing and is also taking classes at Elite! Learn more about Elite Dance Studio at www.elitedancestudio.net, or on Facebook @EliteDanceStudioEdmonton.